The Toronto Residency Program in Radiation Oncology Physics is a two-year practical training program which will prepare you for a career as a medical physicist working in a radiation oncology program, typically at a Cancer Centre or hospital. Medical Radiation Physics applies the knowledge and principles of physics to the practice of radiation treatment of cancer deals with the interaction of ionizing radiation with biological tissues, distribution of ionizing energy within tissues, and the resulting radiobiological and clinical effects. The program operates at the 5 clinical sites below; follow the links to learn about residencies at each site. clinical rotations in Instrumentation, Treatment Planning and Quality Management. Rotations in Brachytherapy, Imaging Physics and Inter-Disciplinary practice. Radiation Physicists are also involved in teaching and research. The latter may involve developmental work directly related to the daily practice of radiotherapy, or may be wider in scope to encompass other applications of physical sciences in medical oncology practice. The program draws upon the resources of the largest academic radiation oncology program in Canada. The residents will work in an environment where critical thinking is emphasized and where the results of research are communicated freely and incorporated rapidly into treatment protocols. Each resident has a medical physicist advisor to guide them and monitor their progress through the program. The educational background of Medical Radiation Physicists varies, and typically includes undergraduate and graduate degrees in physics or engineering, followed by a two-year clinical residency training program. An oral examination is held after the first year and at the conclusion of the program. The program has full accreditation by the Commission on Accreditation of Medical Physics Education Programs (CAMPEP). *Note: Number of former residents certified in a specific year is not expected to align with number of graduates, as residents are typically not eligible for certification until the calendar year after graduation. 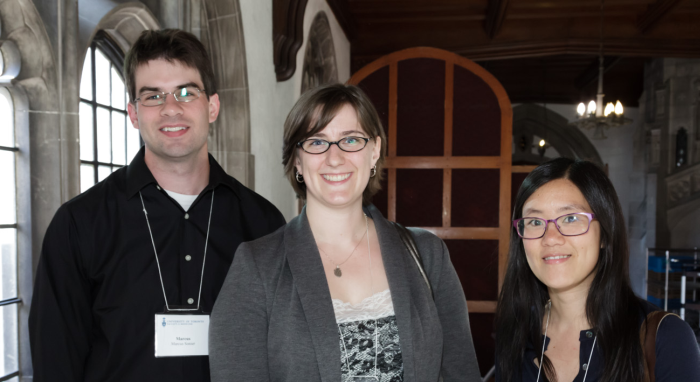 For more information about the profession of Medical Physics in Canada see the website of the Canadian Organization of Medical Physicists (COMP) www.medphys.ca. Many clinical sites in Ontario offer residency training in medical physics. For more information about these sites visit Cancer Care Ontario and look under related resources of the Radiation Treatment Program.